This summer, Seminole presented college scholarships to students Josie Denham and Edgardo Gonzalez. 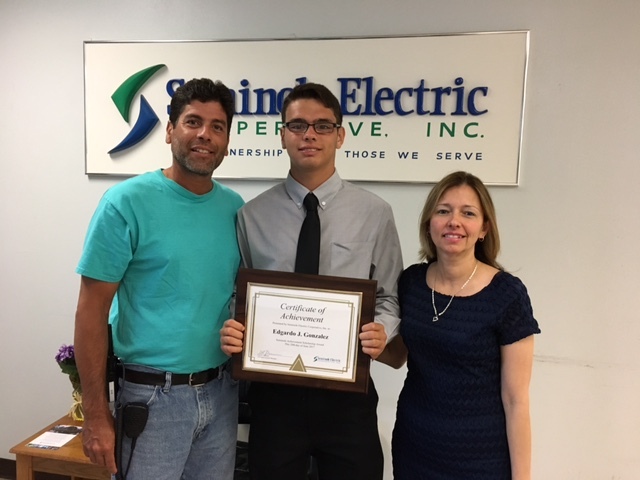 Both students are relatives of Seminole employees at the Seminole Generating Station in Palatka, Florida and will be able to use the scholarship for school related expenses such as tuition, books, and fees. 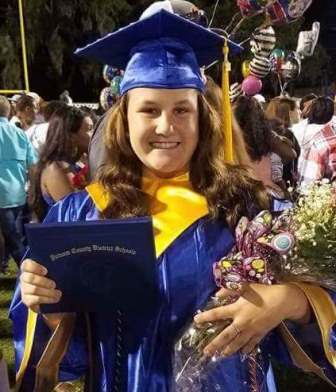 Josie Denham, daughter of Tim Denham, is a 2017 graduate of Palatka High School, where she maintained a 3.5 GPA, all while being a vital part of the varsity softball team and an active member of FFA, raising and showing her cattle at the Putnam County Fair. Josie has been recognized for her leadership skills and the commitment that she shows in all that she does. Edgardo Gonzalez, son of Ed Gonzalez, graduated from Matanzas High School in Palm Coast. “I want to thank Seminole for the opportunity they have provided me through this scholarship award,” says Edgardo. Edgardo has been accepted to the University of Central Florida as a “Top 10 Knight” based on his outstanding academic achievement in high school. Edgardo was very active in academic and community service minded clubs, including the Interact Club, the Leo’s Club, and the DECA Club. Additionally, he served as president of Club Hispanico and secretary of the National Honor Society. For more information visit, www.seminole-electric.com. Based in Tampa, Florida, Seminole is one of the largest generation and transmission cooperatives in the country. Its mission is to provide reliable, competitively priced, wholesale electric power to its nine not-for-profit, consumer-owned distribution electric cooperatives. Seminole and its Members collectively serve 1.6 million individuals and businesses in 42 Florida counties.